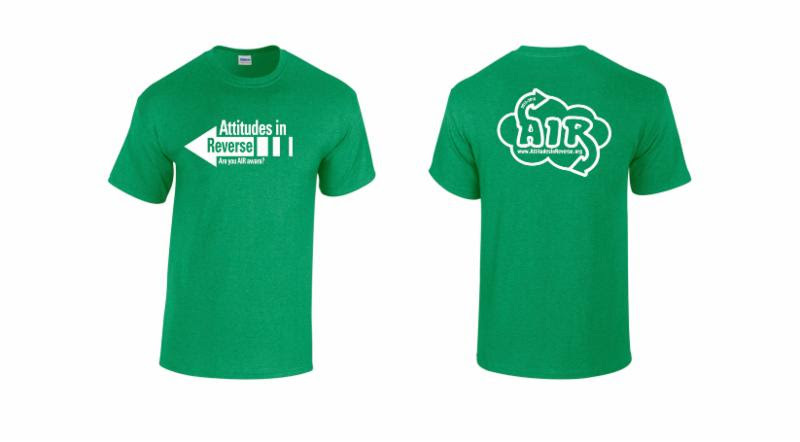 AIR T-Shirt Design Contest Kind is the New Cool! Students are invited to create T-Shirt design concepts that communicate AIR’s message about focusing on mental health along with all other aspects of our health to live as healthfully, happily and successfully as possible. Submissions are due Friday, March 29, 2019. Winners will be notified by May 1, 2019. The winning designs will be reproduced on green t-shirts (signifying children’s mental health) with white ink (signifying hope) — first place on the front and second place on the back — and will be made available for purchase by May 2019 (National Mental Health Awareness Month). Each winner will receive a free t-shirt with the winning designs and First Place Prize is an iPad and the Second Place Prize is a $50 Visa Gift Card. Designs can be submitted electronically to T-Shirt Design Contest or snail-mailed to Attitudes In Reverse, P.O. Box 3127, Princeton, NJ 08543. Contest instructions and the entry form can be downloaded here.